What is the 30 Day Rule for Canadian Snowbirds? Melissa is a Texas Attorney & Ontario Foreign Legal Consultant experienced in dealing with various U.S. immigration matters. She is an Associate with Altro LLP where she leads the firm’s Immigration Law Practice. Canadian snowbirds who spend their winters in the United States are subject to both U.S. tax and immigration laws, which unfortunately do not align with each other. U.S. immigration law can be complex and difficult to interpret. To further complicate matters, there is a great deal of conflicting information floating around about the application of U.S. immigration laws to snowbirds and how to comply with them. One such example is a “30-day rule” that has caused a significant amount of confusion, stress and anxiety among snowbirds. 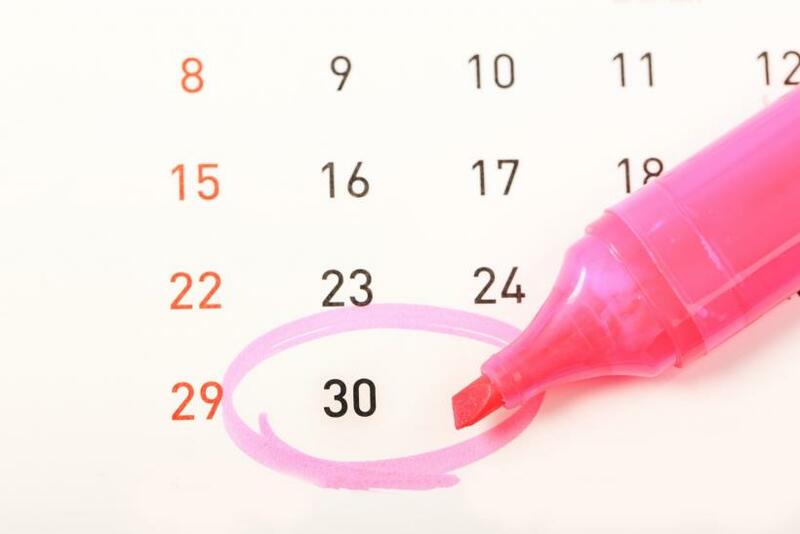 The goal of this article is to help explain the “30-day rule” and clear up some common misconceptions. If you are in the U.S. and come home to Canada for 30 days or less, and then return to the U.S., you should include all of the days you spent back in Canada in the 180 days allotted under your I-94. Is This Really a Rule? To answer this question, it is helpful to first understand a little background information. An I-94 is the Arrival and Departure Record issued by U.S. Customs and Border Protection (“CBP”) notifying foreign visitors entering the United States the date by which they must exit the country. It is the document that controls how long you can visit the U.S. Prior to April 2013, I-94 records were paper documents attached to a visitor’s passport and the departure date was stamped on the form. Now, most I-94s are electronically created and can be accessed online by visitors while the foreign national is provided with an annotated stamp in their passport. The administration of U.S. immigration law is shared by several U.S. government agencies, namely the Department of State, Department of Homeland Security, Department of Justice and Department of Labor, and each agency has its own set of rules. The Department of State issues visas to foreign nationals who want to travel to the U.S. Sometimes a traveler’s U.S. visa may expire while in the United States, and if they leave to visit Canada, for example, their visa to get back into the U.S. would no longer be valid. When a foreign national is at the border seeking readmission to the U.S. after leaving for thirty (30) days or less to a contiguous territory other than Cuba (i.e. Canada, Mexico or in some cases an adjacent island), they can be readmitted to the U.S., provided that they will be resuming non-immigrant status, are in possession of an unexpired I-94 and have a valid passport. In other words, despite the fact that the traveler’s visa is expired, the traveler can still re-enter the U.S. if they have an unexpired I-94, and the expired visa would automatically be made valid to the date of the readmission. How are Canadian Visitors to the U.S. Treated Differently? Canadians, on the other hand, rarely have to deal with the Department of State, because for most travel to the U.S. they are exempt from having to obtain a visa at a U.S. embassy or consulate located in Canada. Instead, Canadians may go straight to the border and seek entry into the U.S. When doing so, they encounter CBP, which is part of the Department of Homeland Security. For the Canadians who are admitted to the country as a visitor, CBP creates an I-94 record generally granting them permission to be in the U.S. for 6 months, just like they do for all other visitors from around the world. However, CBP seems to be borrowing the principle of visa re-validation from the Department of State and applying it to Canadians traveling by air who, from a previous trip, have an unexpired I-94 on file in CBP’s system. Accordingly, when a Canadian returns home to Canada (or visits a contiguous territory or in some cases an adjacent island other than Cuba, even by cruise) for less than 30 days and then re-enters the U.S., CBP has the discretion to re-validate the unexpired I-94 from the original entry, instead of issuing a new I-94 with a new period of admission from the date of re-entry. The effect of CBP re-validating the original unexpired I-94, instead of issuing a new one, is that the Canadian traveler’s period of admission in the U.S. is not extended by the number of days they were out of the U.S.
What about the “30-day rule”? To answer the question, CBP often employs the discretionary practice of re-validating Canadians’ I-94 records, seemingly borrowing the principle of visa re-validation applied to foreign nationals who are required to have a visa to enter the United States. This may make it challenging for Canadians who have been in the habit of counting the number of days spent in the U.S. to determine how long they were permitted to stay. Whether you’re entering the U.S. by air, sea or land, you may want to disregard the old habit of counting your days in the U.S. The better practice for Canadians to avoid overstaying a visit is to access their I-94 at CBP’s website after each entry to the U.S., note the “Admit Until Date”, and depart the U.S. on or before that date. Obtaining your I-94 is essentially the only way of knowing whether CBP, in their discretion, has either re-validated your I-94 or granted you a new one. In addition, snowbirds should follow the tips below to help minimize the chances of running afoul of U.S. immigration laws. Many Canadians aren’t aware that the U.S. CBP allows you to view and print your I-94 record on their website. Use this helpful online tool after each entry to the U.S. to view your most recent I-94, travel history and how much longer you can stay in the United States. Note that the information on your I-94 can sometimes be incorrect. If you find yourself in this situation, you can apply to have your record corrected (see Helpful Tip #5 below). If you are entering the U.S. by land, consider applying for an I-94 online ahead of time to ensure your record is kept up-to-date when you enter through a land border crossing. There is a small fee for this service, but it’s worth it! To avoid immigration issues, always leave the U.S. by the “Admit Until Date” indicated on your most recent I-94. If you leave the United States and return to Canada, or travel to Mexico or adjacent islands (except Cuba), keep evidence of when you departed and the time you spent outside the U.S. such as airline tickets, cruise itineraries, receipts and passport stamps. These will be helpful if the information indicated on your I-94 may need correcting. If you believe the information on your I-94 is inaccurate, you can apply to have it corrected by visiting a CBP Deferred Inspection Site and making an application. Some Deferred Inspection Sites allow you to update your records by email instead of attending in person. However, if you choose to go this route, it is prudent to engage a lawyer familiar with the submission process, as the rules are very specific. In addition to ensuring that you do not overstay your visit in the U.S. from an immigration standpoint, make sure you follow the residency rules from a tax standpoint to avoid becoming a U.S. resident for tax purposes.